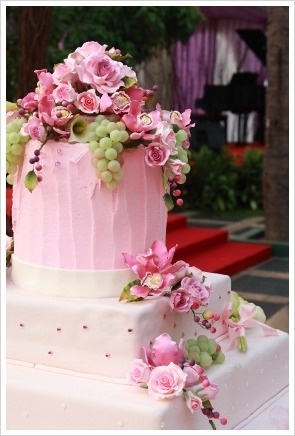 Pink Wedding Cake Inside And Out! 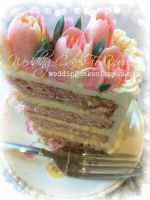 Cutting your pink wedding cake to reveal a pink champagne flavored confection inside would be the ultimate surprise for your guests! 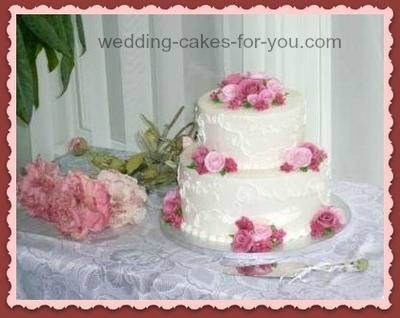 There is a yummy recipe at the bottom of this page that will surely enhance your color theme. 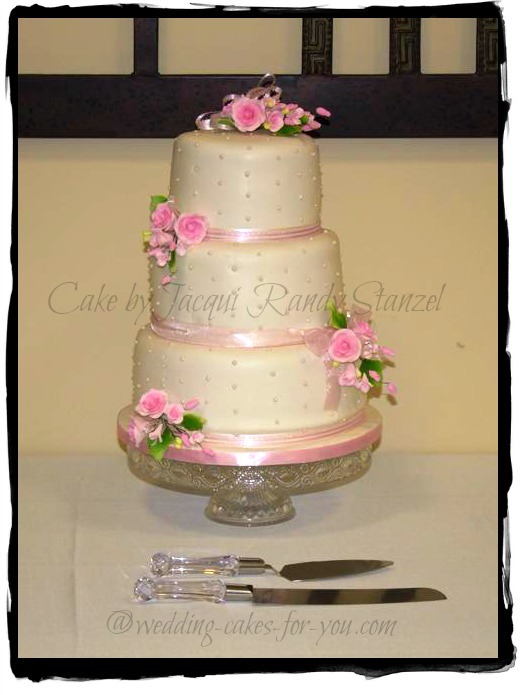 This sweet two tier creation right below is decorated with fondant and displayed on a crystal stand. 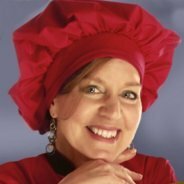 It's small and would serve about 40 people. 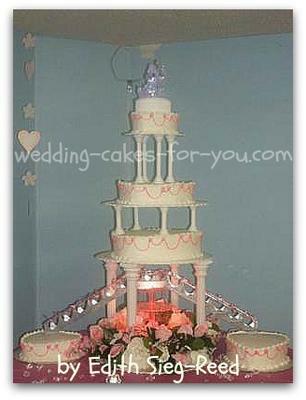 If you were to add a 14 inch tier on the bottom you would have enough for 125 guests. 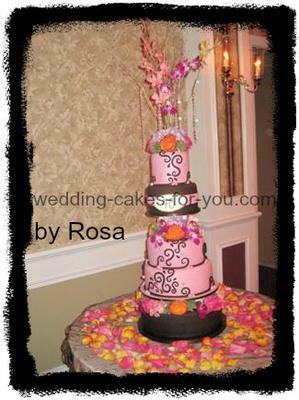 This amazing wedding cake below is exquisitely designed with tons of very well made gumpaste flowers by Lizbeth Reyes. This was shared at the Facebook page. Stunning! 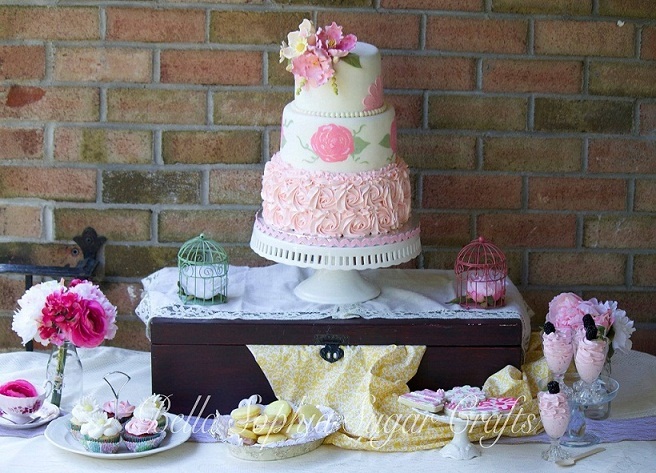 I adore this three tiered design below by Bella Sophia Sugar Crafts Everything from the background of brick to the desserts surrounding the cake is absolutely stunning. The designs on these pages are meant to be used for ideas. 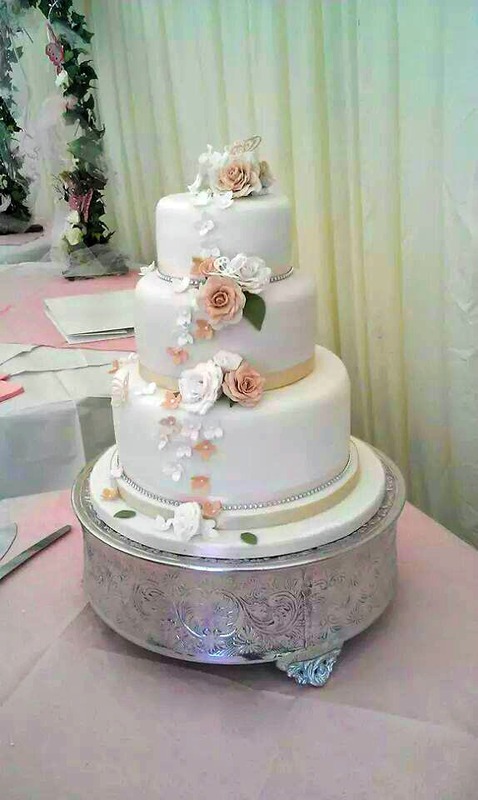 Your designer will help you to decide just how many tiers and how much cake you will need for your reception. 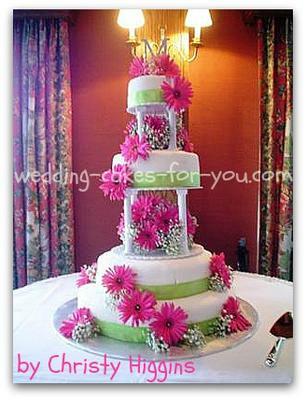 The simple square design above with pillars gets it's pink color from the addition of roses which make it very elegant. 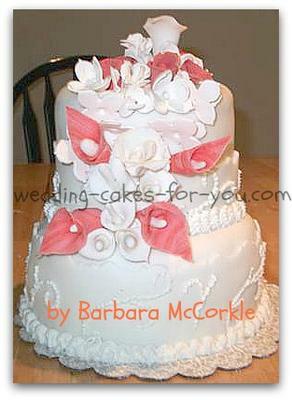 This particular cake is frosted with buttecream icing. The pearl borders are made using a round tip. 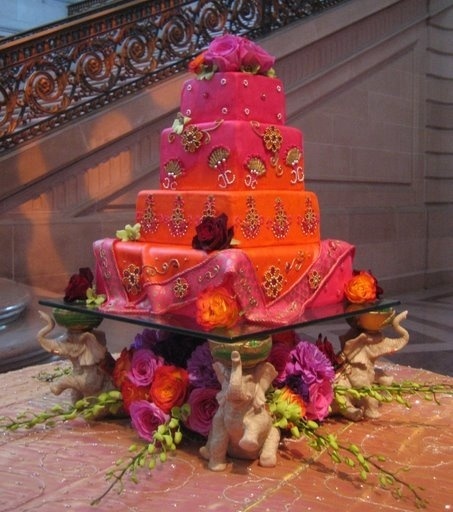 The pillars are either a 7 inch or 9 inch push in plastic Wilton brand. The flowers are fresh. 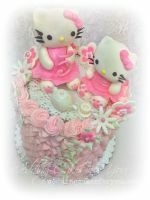 This is a simple design although it is not easy to make buttercream look really smooth. 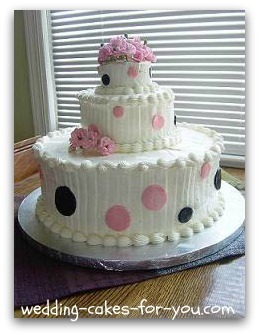 The polka dot design above was for a bridal shower, but could just as well work for a small wedding. 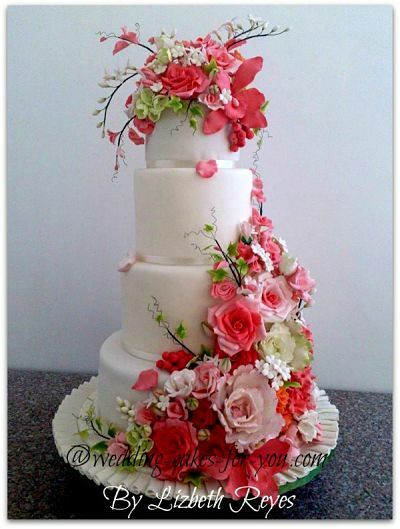 It is made using butter cream, fondant rolled out and cut into circles and fresh flower decorations. 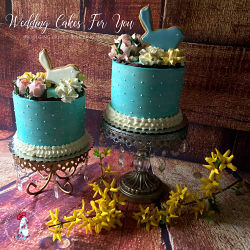 Here is the link to wedding shower ideas and a slideshow of the shower with this polka dot design. 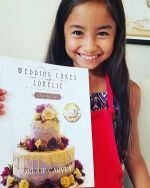 When making a cake that combines buttercream and fondant be cautious. 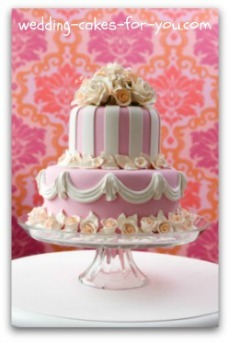 TIP: The fondant can become sticky and break down if refrigerated, allowing the color to run. 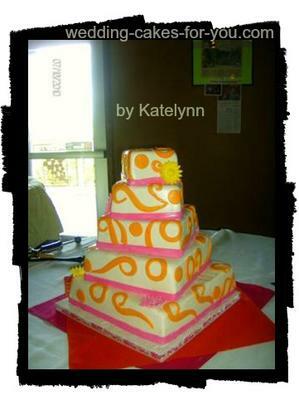 Wait until just before the event before placing the fondant pieces. 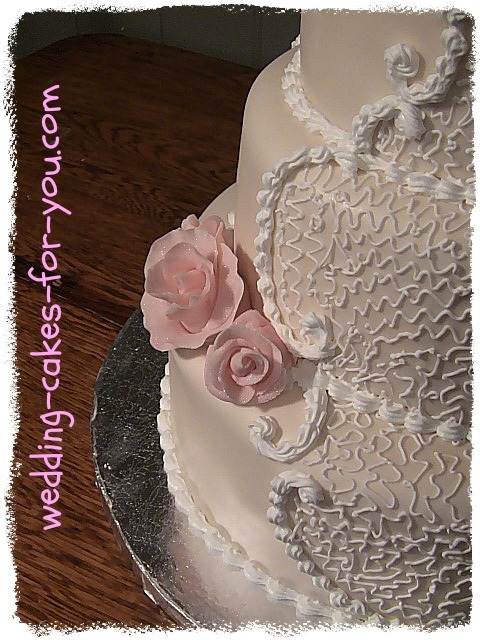 A white cornelli lace overlay is striking over a dusty rose pink with slightly darker gumpaste roses. 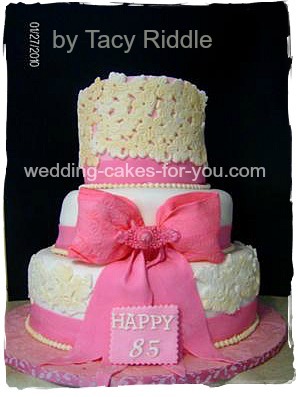 A sweet fondant cake by Jacqui Randy Stanzel with pink ribbon, roses and swiss dots. The designs in this section are shared by readers to the site. 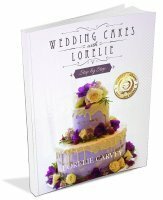 If you would like to see more of the wonderful unique creations and stories, tips advice and more go to a wedding cake pictures. Follow the directions on the box mix and replace the liquid with champagne. Tint the batter with red food coloring until the right shade is reached. 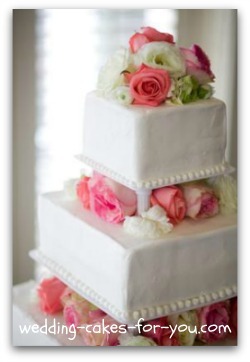 Use your favorite buttercream recipe and add 1/4 cup of Champagne or to taste. Add red food coloring to tint it pink.